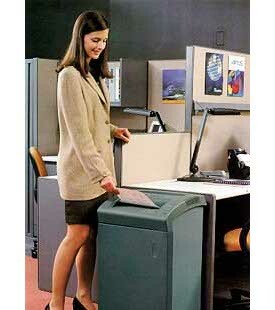 The GBC Shredmaster 5570M Micro Cut Office Shredder - 15" throat with deep, funnel shape. 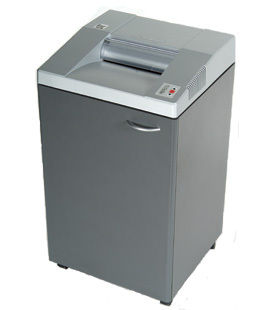 42 gallon shred bin and continuous-duty motor. SmartShred™ visual indicators help keep the operator informed – Power On, Bag-Full, Overload and Door Ajar. Jam-Stopper® Electronics feature solid one piece cutting head, bag-full shut off, and auto stop on jam. Auto On/Off.